Horror movie posters are a collector's item among horror buffs. Vampires and monsters and ghouls-oh my! Movie audiences have always loved the adrenalin rush of a good horror film. For those of you who want to incorporate that fear factor into your home décor, the following resources have many selections to sink your teeth into. Nightmares not included. 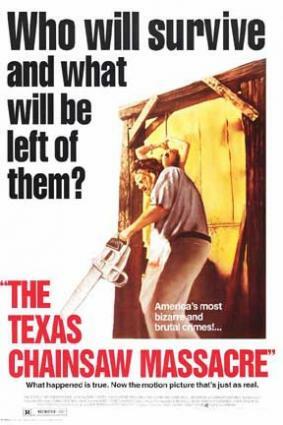 All Posters has a healthy selection of horror film posters, especially those which were part of a cult series such as "Chucky", "Nightmare on Elm Street", and the "Texas Chainsaw Massacre". Visitors will find a user-friendly online catalogue, competitive prices, and assorted movie paraphernalia such as T-shirts, stand-ups and magnets. The staff is also extremely well versed on poster merchandise and is helpful in terms of assisting customers with searches for hard to get vintage poster art. 123 Posters has approximately 3 dozen horror posters in its current catalogue that range from Boris Karloff and Lon Chaney to Ven Helsing. Prices are generally under $10 plus shipping. Movie Poster Shop has has thousands of poster reproductions. They are not only categorized alphabetically for easy searches but also provide customers a chance to see what their prospective purchases will actually look like in a variety of different frames. "Horror Movie Posters, The Illustrated History of Movies Through Posters, Volume 7" by Richard Allen and Bruce Hershenson is a nostalgic trip down dark and spooky lanes. Although this paperback clocks in at only a scant 80 pages, it is ghoulishly replete with designs that cover everything from the silent era up to modern day scare fests. The most hilarious images, of course, are horror posters from the 1950's in which virtually every science fiction theme had something to do with unleashed radiation, attacks by Cyclopsian aliens, or the pre-Jurrassic Park venue of man versus dinosaurs. Click on the ISBN 1887893520 to find this entertaining book at Amazon.